The world at large has rarely paid much attention to Mali. The events that took place at the beginning of 2012 changed this, as Mali was brought to the world stage not for the democratic or economic progress it has made over the last few decades, but for the dramatic military coup that took place in the capital. This coup was followed by armed insurgencies that left the northern regions of the country in the hands of Islamist insurgents. After these extreme events, the world began paying attention to Mali and its armed conflict. This attention has lead to military and security actions, as France, the Economic Community of West African States (ECOWAS), and most recently the UN have all sent troops to help the Malian government expel the Islamist militants from the northern regions. These security forces have achieved success in taking back key northern cities, and it appears that with the help of its regional and international allies, the Malian government will once again have control of the northern regions in the near future. The real question to ask is: how long will this success last? While security had to be a central focus to ending the conflict at the beginning, security alone will not resolve the Malian conflict. Although the violence reached new heights in 2012, the conflict between Mali’s northern and southern regions had existed for decades. Armed rebellions have happened multiple times in northern Mali and after each rebellion, short-term security solutions brought peace for only a short period. One of the reasons this peace has not lasted is a lack of economic development in the northern regions. Mali is one of the world’s poorest countries and suffers from a lack of economic development on many levels, but this is especially present in northern Mali. 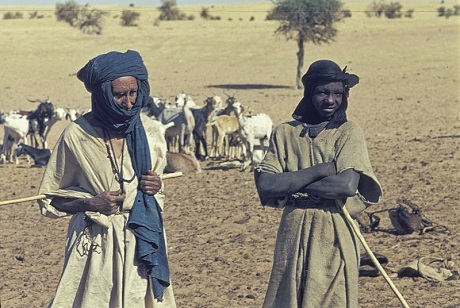 This lack of economic development in the north has often been cited by Tuaregs, the main minority group in northern Mali, as a part of their reason for their rebellions against the Malian government. During the 1990s and the 2000s various Tuareg rebellions broke out in multiple parts of Mali. Peace agreements were brokered between the Malian government and the Tuaregs and economic development in the north was listed as one of the important elements to creating peace. The need for economic development thus became a key component to the peace process in northern Mali. Despite this discovery, rebellions and agreements continued to happen over and over again, with no real economic development and no real peace taking place. There are many reasons that economic development has not taken place, but there are two rather important reasons that are often overlooked. First, is that northern Mali is incredibly hard to develop. Despite consisting of more than half of Mali’s land area, the north is complete desert. When the French first entered what is today the northern part of Mali, they saw little value in the desert area and did little to develop the area, and subsequent governments in Mali have felt the same way and have not given much attention to the northern desert. Its harsh climate conditions and frequent droughts over the past few decades have not helped matters. In addition, northern Mali is inhabited by only 10% of Mali’s total population. This makes it difficult for the Malian government, which is responsible for one of the poorest countries in the world, to focus its development efforts on a portion of the country that hosts only 10% of its population. The government no doubt recognizes the development problems in the north, but faces far greater needs in the south, where the majority of its population lives. While this lack of economic development in the north is a problem that exacerbates the Tuareg rebellions, it is understandable (though not excusable) why development has still not happened, given the circumstances. However, it is not only a lack of economic development that has kept the peace agreements from working. One of Mali’s neighbors, Niger, has a Tuareg minority and has also experienced Tuareg rebellions in the past. Niger has also promised economic development to Tuaregs as a part of their peace agreements and has also not delivered on that promise. Yet recently Niger has experienced far less rebellions than Mali. One key difference, as the IRIN points out, is that Mali has focused so heavily on the security aspect of development in the region. Prior to the 2012 rebellions, the Malian government created a “development” program that focused on security. The “development” of northern Mali thus has been one of a security development rather than an economic development. It is one thing to not have economic development taking place (such as in Niger), but it is a whole separate issue to have security development in place of economic development. This has created even more tensions between the Malian Tuaregs and the government, as the Tuaregs further resent the government for not only not helping with true economic development, but also for sending soldiers and security teams rather than the needed economic development. Through understanding these past rebellions and peace agreements, it would seem that the current security efforts in Mali will not be a permanent solution unless economic development follows. The northern regions of Mali need economic development in order to feel like the government truly responses to their needs. Security forces alone will not make northern Malians feel as though the government is truly attempting to develop the north. Recently, one northern Malian shared his frustration that not one major Malian official has visited his city since it was liberated months ago. This is another simple, yet poignant example of how the Malian government has yet to show the northern Malians that it is ready to develop the northern regions through more than just security efforts. Unless this changes, real peace will not be found, no matter how many troops are sent to quell the violence in Mali. Emizet F. Kisangani, “The Tuaregs’ Rebellions in Mali and Niger and the U.S. Global War on Terror,” International Journal of World Peace 29, no. 1 (March 2012): 70-71. Melissa Neelakantan is a second year graduate student at the Whitehead School of Diplomacy and International Relations at Seton Hall University. She is specializing in global negotiation and conflict management and international economics and development.